6. What happens if I hire and they aren’t a fit? What is your replacement policy? The majority of our placements are a long-term success, so this is typically not an issue. However, we know that from time to time, a match can be made that doesn’t quite work. For this reason, Mom’s Best Friend gives you a 4-month free replacement guarantee to ensure that a successful placement has been made. Even after the 4 months, we offer a sliding scale discount for future placements to reward our loyal clients. 7. Why Mom’s Best Friend versus another agency? Why is it worth it to pay a fee versus an online service? There are key differences between Mom’s Best Friend and other agencies. First and foremost, we have the most exceptional candidates. Our 10-step proccess screens out 90% of candidates, and takes into consideration experience, education, criminal background, and many other intangibles (See our video: Beyond the Resume, How we Spot Exceptional Candidates). Most of our families offer 1-2 weeks of vacation per year. One of those weeks often corresponds with the family’s planned vacation, so as to not have too many days to backfill. Some of our nannies travel with their families, but this is something typically discussed up-front. 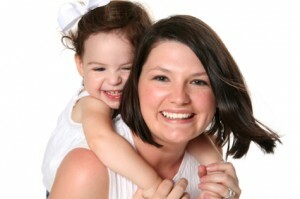 If you will be needing your nanny to travel with you, be sure to mention that to your placement manager. When you are traveling and your nanny is still working, families often find other projects for their nanny to do that are not directly childcare related. Some examples are playroom organization, scrapbooking, car maintenance (oil change, wash), checking mail, feeding pets, watering plants, errands, etc. 9. Can the nannies drive? Do they get put on my auto insurance? Nannies almost always have some kind of driving in their job – whether it be running to the park, to the library, or grocery shopping – there are a number of reasons nannies drive. Sometimes this involves using the nanny’s car and sometimes the family’s car is used. Therefore, we always recommend that families call their insurance provider to make a recommendation for how the insurance portion should be handled. Please contact us if we can help you or if there are any other questions we can answer!